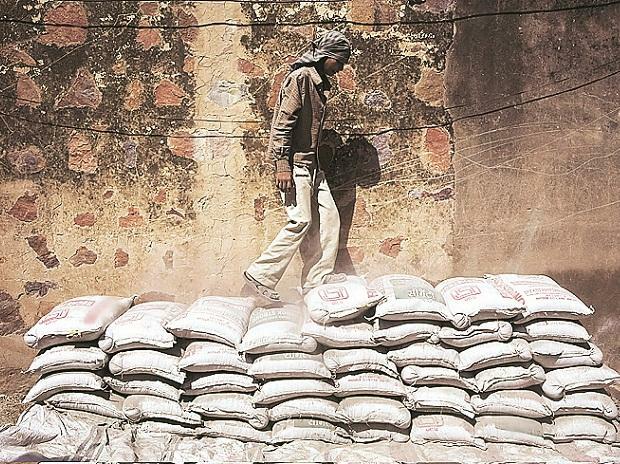 A preliminary inquiry by the Union ministry of corporate affairs (MCA) has found serious financial irregularities in Kolkata-based Burnpur Cement. The regional director has recommended a further probe of the listed company, to safeguard the interests of public shareholders. The communication — recommending that Section 208 of the Companies Act be invoked — also mentions a rapid deterioration of the company’s financial heath. If the section is invoked, the company would be barred from making any interest payments without prior permission of the government. Burnpur Cement did not respond to a query on the subject from this publication. Bankers which have lent to the company are State Bank of India, Central Bank of India, West Bengal Finance Corporation and United Bank of India. The company officially became a non-performing asset in 2016. According to the latest audit report, the management is in talks with banks for a one-time settlement. The company had accumulated loss of Rs 103 crore as on end-March, 2018, according to its annual report. In the annual report for 2017-18, it stated there was inventory worth almost Rs 13 crore. The company was incorporated in 1986 and started operations in 1991, with a cement plant set up at Asansol in West Bengal. It got listed on the bourses in 2001. Depending on the Jharkhand government’s allocation of a limestone mine for its captive use, Burnpur Cement had in 2015 commissioned a second plant, at Patratu in the state, investing Rs 300 crore. However, the Mines and Minerals (Development and Regulation) Amendment Bill of 2016 and a subsequent ruling from the Supreme Court cancelled this allocation, when the plant was on the verge of starting production. As a result, the plant ran dry for want of raw material and financial stress began. A source said this mine was originally allotted to Steel Authority of India (SAIL) but it was found that the quality of limestone from there was not steel-grade. It was then given up to the Jharkhand government in 2011. At that point, Burnpur Cement started negotiating for mining rights there. The state government allotted it in 2015, subject to approval of the Centre. However, the amendment to mining policy, making auction of mine leases mandatory, was enacted the following year, before any clearance. “The banks also realise that the financial stress on Burnpur Cement is because of a change in policy. Substantial investment was made to put up this plant and when it was supposed to start production, the mine (allotment) was cancelled,” a ministry source said. Banks had lent Rs 200 crore for the plant, on which Rs 30 crore of (unpaid) interest has accumulated. To finance the proposed loan restructuring, Burnpur Cement is in talks to bring in a private equity investor, beside selling some of its preferential shares. A source said it was also in talks with ElectroSteel, which has a nearby plant, and other power generation companies to source fly ash and granulated slag, from which cement can be made. And, negotiating with other slag-makers. Having a capacity to produce 800 tonnes a day, the plant is currently operating at half this much, employing 1,000 workers.